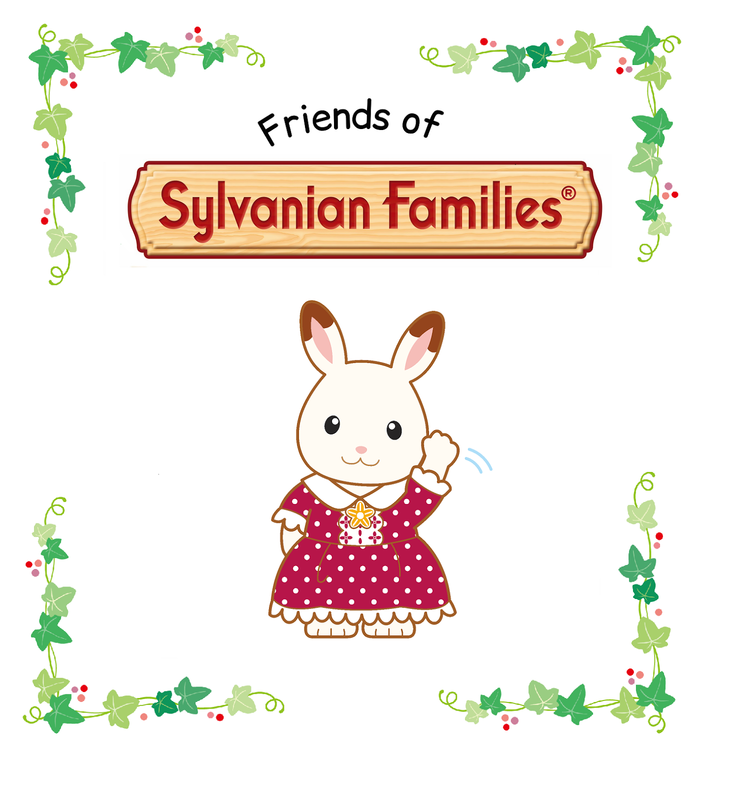 Here in the UK that name probably doesn't mean that much to most people (apologies in advance to Ms Stewart for this) but I understand that she is VERY well known on the other side of the pond (USA in case you didn't get that!). I figure she's a bit like a more mature version of our lovely Kirstie Allsopp mixed with Mary Berry. Personally - I have never met Martha but oh how I would love to having discovered her gorgeous stationery range available exclusively at Staples. 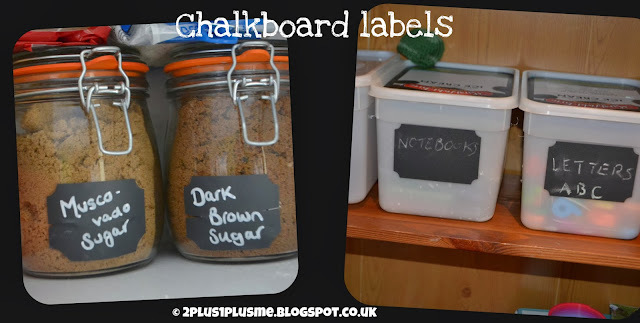 I am currently battling with a teeny tiny obsession with her Chalkboard labels! 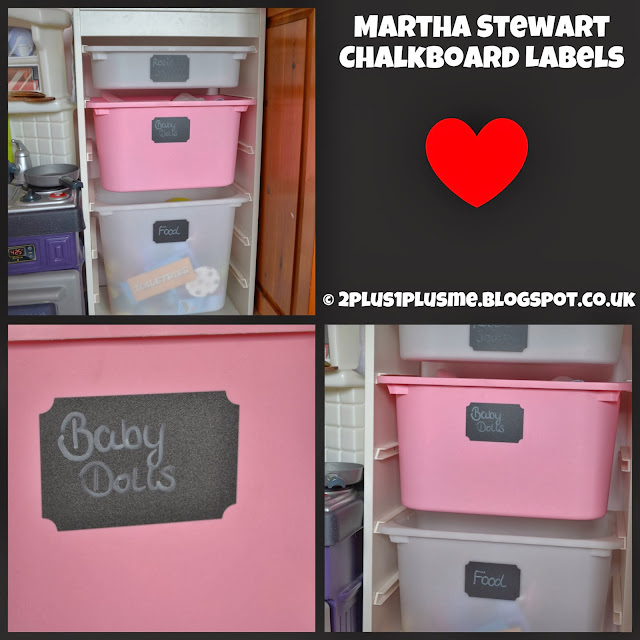 They're fantastic for the kids toy storage because when we move on from certain toys we can just change what the label says! They're great for in the kitchen too (although I had a tiny bit of an issue fitting them on my Tala glass jars because of the curve so had to make little snips so it would smooth around the jar). I now want to label EVERYTHING! Only problem with these labels is I HATE CHALK. Can't stand the feel of the stuff. Therefore a girl has to have chalkboard pens (and these little babies aren't cheap!). Mr H only let me buy one white one but I have my eye on a pack of multicoloured chalkboard pens so that I can really pretty them up!! What would you use them on? I'm eyeing up the Martha Stewart Wall Manager System at the mo - watch this space!